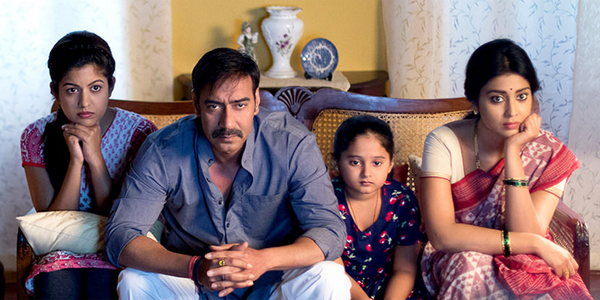 About a month ago released thriller movie Drishyam has completed the journey of 5 weeks at box office. The movie has received super positive response and huge appreciation from audience meanwhile. It is an official remake of Malayalam movie with the same title, that was the reason some critics didn’t found it up to the mark. As a result it started on an average note on its opening day. But after the positive reviews of audience, it attained the pace and collected good total. Everyone found Drishyam very interesting and gripping, movie’s climax was its key part. The lead stars Ajay Devgn & Tabu received huge appreciation from audience as well as critics for their performance. The supporting characters have also played their roles very well. Director Nishikant Kamat has done his work very positively and for his great efforts everyone praised him. Drishyam faced some loss due to Bajrangi Bhaijaan & Brothers but still managed to collected good total from Indian screens. The movie has done the business of total 76.16 crores in 5 weeks that includes 46.28 crores of 1st week, 17.89 crores of 2nd week, 7.55 crores of 3rd week, 3.15 crores of 4th week and rest 1.29 crore of 5th week. In its 5th week, it has minted 1.29 crore that includes 0.84 crore of weekend and 0.45 crore of weekdays.